My first autumn card for this year... days are pretty cool now, it's getting dark quite early, and we have REALLY cold nights already! The leaves aren't yet red or brown, but I guess it can't take long anymore. I stamped the background (Judi Kins) onto brown cardstock with my Glue Pad and added copper glitter, let it dry FOR A WHILE (!!! ), then brushed away the excess. 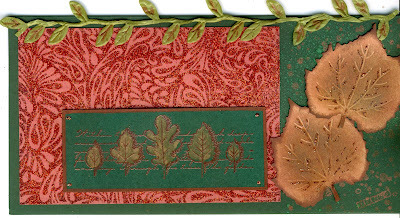 The leaf image (Stampendous) was stamped onto green cardstock, embossed with copper powder and colored with some Stargazers' colors. The two large leaves are punched with an embossing punch (Woodware) and sponged with Brilliance copper ink, Colorbox Fluid Chalks brown and green inks, wiped with some rust luster rub-ons and highlighted with copper stickles. I sprayed the right part of my card with some green Shimmering Mist and stamped some dots (Kaleidoskop) with Brilliance copper over that. 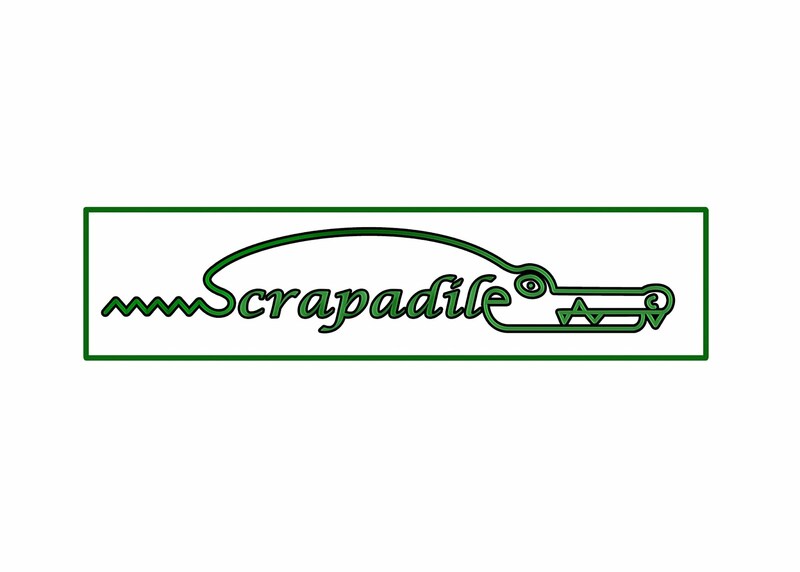 Finally, I added a green leaf ribbon. The card is VERY sparkling IRL, it doesn't really show up on the scan. Hope you like it anyhow!